According to the US Department of Homeland Security, almost 1.2 million illegal immigrants have been deported in 2007 by the US Custom and Border Protection and Border Patrol. The projection for the current year is an increase of around 50%. In 2008 there was a decline in 10% of the illegal immigrant population in the United States. This decline is driven by several different causes: an increase in the enforcement effort (since 2001 the number of Border Patrol agents has doubled from 9,000 to 18,000); the construction of more and more miles of the hi-tech fence that forces migrants to cross the border in more remote and dangerous places; the economic crisis causing higher unemployment rates. 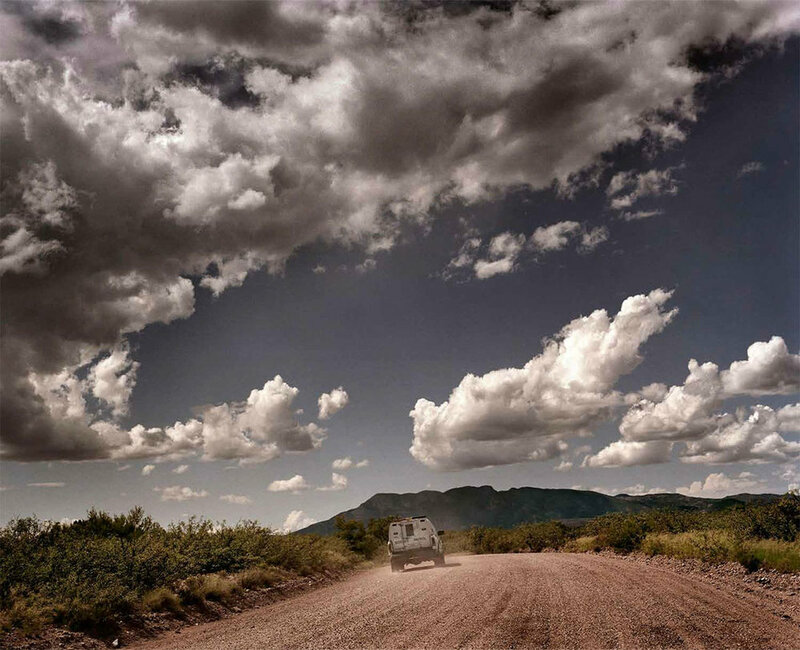 As a result of higher deportation rates coupled with higher risks in crossing the border, Mexican cities like Nogales-Sonora are witnessing an increase of population due to the tens of thousands people who, nonetheless, are awaiting another opportunity to enter the United States or a bus ticket back to their hometowns. Among them are minors under 18, and women, 13% of all cases, sometimes dropped off alone at night.Most of them are people looking for more opportunities and a better life. Some are members of mixed status families, like Cesar, 45, who says he was taken to California when he was five and wants to go back to his family: “I was raised up in America, I have nothing here in Mexico, all my family is in California. I have two children in Iraq fighting for their country, which I believe is my country too”. Some others are simply looking for a job, like Roberto, 23, who was caught during an ICE raid on the chicken processing plant where he’d been working for three years for $6.75 per hour: “We just go there to work, and they think we are all criminals”. He served a six month sentence for identity theft and now that he’s just been deported, he wants to go back to his three children in the United States. Stories like this are common at the port of entry in Nogales, Mexico, where the rate of deportation is around 150-200 people per day. Farmers, construction workers, prisoners, nannies, children and families are dropped off in Mexico by the buses that beat mostly the night time. In fact, it is during the night that the highest number of arrivals is recorded. 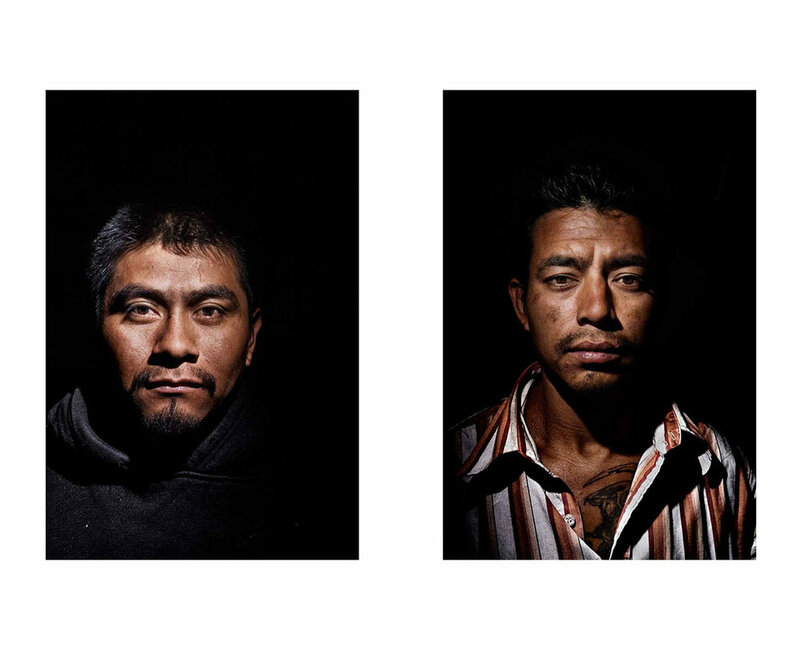 The following body of work is a series of portraits of recently deported migrants taken on December 2008 in Nogales, Mexico, and the result of a few nights spent waiting for the buses to come at the port of entry to leave their load of people. The night, the darkness and the paradoxical violence of a deep silence precede the arrival of groups of migrants without anything left to lose. A backpack, a hat, a worn out jacket and shoes is what remains of their belongings. And with extreme dignity some of them have accepted to stand in front of my camera for a close-up look into the tragedy of deportation through the faces of the people taking their first step back to the place they are trying to escape. All of them with one thing in common, a broken American dream.ooklyn Buzz is the inaugural chapter of The Buzz Project. It was conceived and shot in Brooklyn, New York City, US, in 2010. New York is a city of records. The most populous and densely populated city in the United States is also the first megacity in human history. Today, its metropolitan area is home to an estimated 20 million residents and hosts the largest foreign-born population of any metropolitan region in the world. Brooklyn is the most populous of the five boroughs which form New York City. Originally an independent municipality, it has maintained a proud and distinct culture, which is deeply rooted in the extraordinary ethnic diversity of both its past and present residents. Despite the relentless and ongoing gentrification that has started to reshape Brooklyn’s urban, social and ethnic features since the early 2000, Brooklyn is still representative of the legendary melting pot that forms the substance of America itself. Brooklyn Buzz portrays life in Brooklyn at a time when its urban landscape and socio-ethnical composition have yet to be radically altered. Whether dignified or shabby, brazen or bashful, shifty or innocent, in this series, Brooklyn, caught unguarded, shows its many faces and, through them, its very essence. Unpretentious, unsophisticated, of a coarse kind of beauty, Brooklyn’s character – its people, buildings, objects and even nature – seem to emanate a distinguished mixture of hope and despair, endurance and resistance, which has nurtured the efforts of hundreds of generations who have come to New York – from all over the world and through the centuries – in search of a better life. Whether they found it or not, their collective effort is what New York is today.